The Stovax Stockton 6 stove is a plain model with one door with one plain glass window in the door. This stove is available as a wood or multi fuel version. As the output of the stove is over 5kw you need to have an air vent into the room. 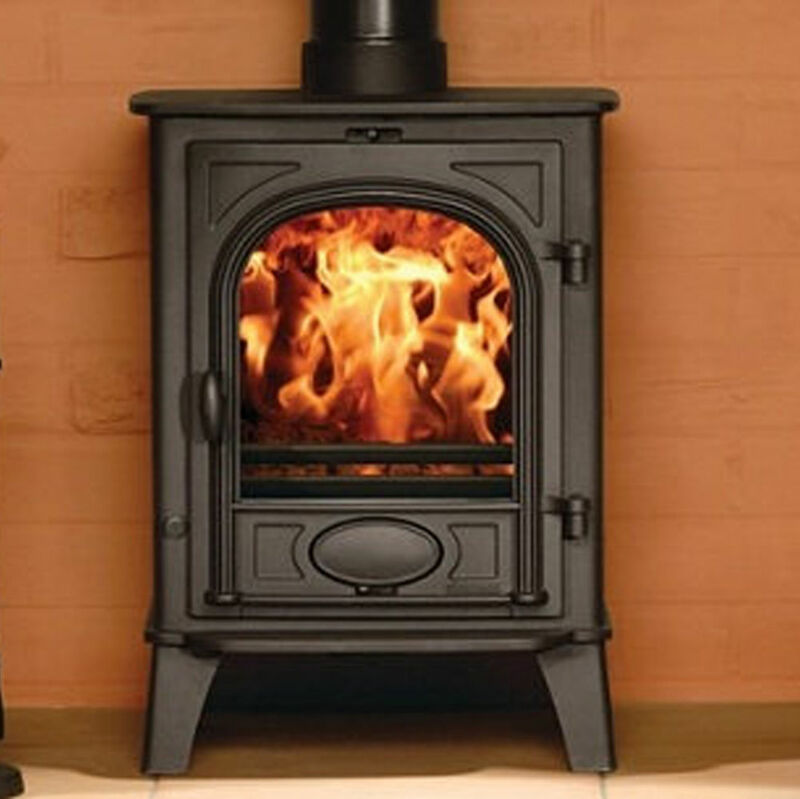 Stove expert replied: The warranty, with any stove, is with the company that you have paid your money to and most manufacturers do not deal direct with the general public. That is why their stoves are sold through various outlets that offer this service and should assist you with the technical details for the installation etc. Good solid ratings for this stove. Stockton 6 - v. good indeed! 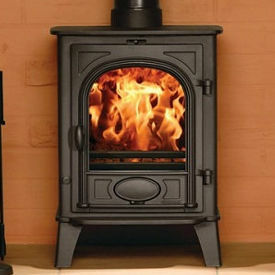 Stove expert replied: Good feedback from a newcomer to stoves, nice remarks. A good overall stove for a medium-small room.